When you book a charter bus rental service, you obviously want to get from point A to point B. But it’s the “little things” that make the difference in your experience using a ground transportation company. As you may know by now, there are a number of ground transportation companies in Houston and throughout southeast Texas. So how do you know which one to use for your next business meeting or special occasion? Keep reading to see what separates Merlo’s Charters from the rest of the pack. Just about anyone can give you and your group a lift these days. But there are times when it just makes sense to hire a charter bus company. Think about it — when an important client arrives at the airport, the driver and vehicle that pick them up are a critical first impression. This is where an experienced charter bus service comes into play. You can feel comfortable knowing that Merlo’s has been providing reliable ground transportation in Houston for 20 years and counting. The last thing you want is for your passengers to be stuck with a reckless driver or an unsafe vehicle. There’s no need to worry about safety with us. Much of Merlo’s success can be attributed to the fact that we maintain the highest safety standards. On top of that, we run our own maintenance facility to ensure that passengers are riding in the most reliable fleet on the road. So sit back, relax, and feel at ease knowing that a certified driver or chauffeur is behind the wheel. Did you know that Merlo’s is a family owned and operated business? Even though we’ve seen incredible growth since opening in 1999, we continue to put customers at the forefront of everything we do. From the time you make your reservation to the final drop-off of passengers, you can count on us to be respectful and professional. Outside of day-to-day operations, Merlo’s is committed to giving back to the Houston community. We have sponsored many community events in recent years and encourage all team members to volunteer. It doesn’t take more than a few commutes to become frustrated with the city’s traffic. Here at Merlo’s, we always recommend carpooling whenever possible. Another transportation option, though, is to book the greenest charter bus fleet in Houston. Not only are Merlo’s vehicles E-85 compatible, but many of our diesel vehicles burn cleaner than the unleaded alternatives of our competitors. Contact us today to learn more about our green initiatives! 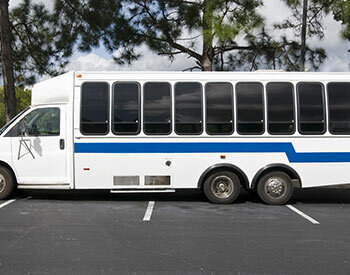 It’s impossible for a charter bus company to have success without reliable vehicles. As aforementioned, Merlo’s has six different vehicles for you and your group to choose from. Let’s take a closer look at each of them. 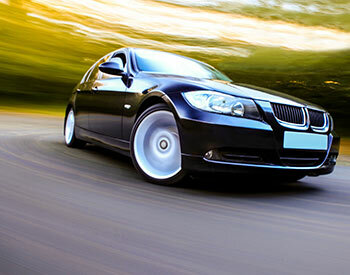 Let’s say that you have a special event coming up and you want to explore luxury transportation options. While you might not need something as large as a limousine, you’re thinking of reserving something on the fancy side. The four-door luxury sedan from Merlo’s is ideal for weddings, dances, airport transfers, and bachelor/bachelorette parties. You can picture it now — the extended body, leather interior, and extra legroom. Our towncar is also equipped with reading lights, rear vanity mirrors, and a GPS system. This three-passenger vehicle will certainly take your event to the next level. Book your Towncar rental from Merlo’s today. Perhaps you have a bunch of friends or family members flying into Houston for a wedding or weekend downtown. As opposed to making everyone rent their own car, we recommend renting an SUV from Merlo’s Charters. It features comfortable leather seats, a CD player, rear stereo control, and dual air conditioning. What passengers might appreciate most, though, is the spacious trunk. If you want to easily transport a group with luggage, an SUV is the way to go. 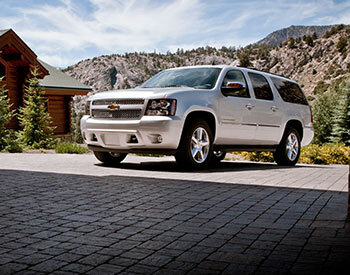 Call us now to book your SUV rental. It could be that you’re organizing a group tour or casino trip but have no clue where to start in terms of transportation. You want something that’s stylish, yet can also seat 13 passengers comfortably with luggage. In this scenario, we would recommend our executive van. Each of the executive vans at Merlo’s come fully equipped with leather seats, a built-in TV with DVD player, aisle seating, and bus entry door. Passengers can spread out and relax thanks to the spacious luggage area. This really is the perfect means of transportation for a medium-sized group. 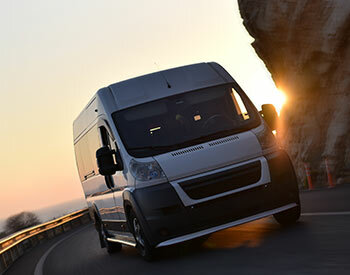 Ask Merlo’s about executive van rental today. You can’t be messing around with unreliable vehicles when you’re transporting up to 24 passengers. Here at Merlo’s Charters, we have shuttle buses designed with your group in mind. Rest assured that our shuttle buses are equipped with seatbelts for safety. 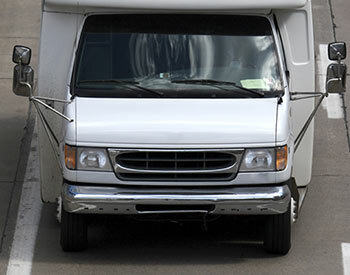 We are proud to be the number one choice for shuttle services in Houston. Merlo’s can help you focus less on the details of employee and airport transfers and more on actual company matters. Book a shuttle bus rental from Merlo’s. Looking for an easy, safe, and affordable way to transport up to 29 passengers? Then we encourage you to consider a mini bus from Merlo’s Charters. Each mini bus features a CD player, PA system, overhead luggage compartments, high-back reclining seats, and seatbelts. 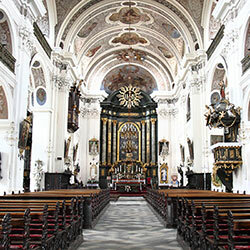 Customers often use our mini bus for group tours, group hotel pickup, business meetings, and church group trips. It’s also an option for field trips during the school year. Trying to decide on transportation for more than 50 passengers but don’t want to book multiple vehicles? 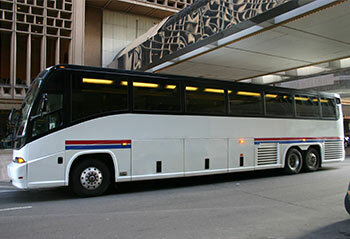 Then the motor coach from Merlo’s could be right for your group. Our luxury motor coaches feature multiple TVs, DVD players, a restroom, as well as seating for large groups with luggage. Here at Merlo’s, we understand how stressful it can be to book ground transportation for overnight group trips and large group transfers. Have one less concern and see why those in Houston trust Merlo’s for their transportation needs. Merlo’s specializes in chauffeured ground transportation for Houston area businesses and corporations. Our extensive fleet of shuttles, motor coaches, sedans, and towncars are available to help your company transfer personnel to outings, meetings, retreats, and team-building trips. You can’t go wrong with Merlo’s for any sort of corporate transportation. For years, Merlo’s has worked with some of the largest corporations in the oil and petrochemical industry. Our team is passionate about providing safe, reliable, and on-time transportation for those in this ever-important sector. So if you need a dependable bus charter service to handle employee shuttles and transfers, turn to Merlo’s. It can be a nightmare trying to schedule airport drop-off/pick-up for one person, let alone a large group. Fortunately, Merlo’s makes the process simple and stress-free. For one thing, our staff maintains all of the necessary credentials to serve Houston airports (Bush, Hobby, Hooks, and Ellington Fields). We make it a point to always ask for the flight information ahead of time. In the event of a flight delay, Merlo’s will ensure that you have the most convenient transportation lined up and ready. Still not sold on Merlo’s as an airport shuttle? Well, we work with some of the top airlines in the world to safely and reliably transfer flight crews from the airport to their hotel. Be sure to ask about first-class passenger transfers for your most important clients. Church transportation is a big deal at Merlo’s Charters. In fact, we partner with local churches to transfer patrons to and from nearby parking lots or garages to Sunday services. Patrons especially appreciate our air-conditioned fleet of shuttles during the hot summer months. Then there are the church catered group trips. Maybe your church is planning a retreat outside of Houston or trip to the zoo and you need to book transportation. You can feel at ease knowing that Merlo’s will make the trip comfortable and pleasant for you and your patrons. Special event transportation might just be our favorite part of this job. Believe it or not, a transportation snafu can derail an entire event. That’s why it’s important to plan ahead and, if you’re so inclined, hire a professional ground transportation service. 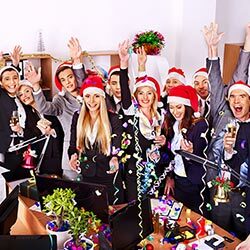 At Merlo’s Charters, we strive to make your event memorable, comfortable, and safe. Our staff is more than happy to provide bottled water and other refreshments upon request. Maybe you’ve been wanting to plan a romantic date night downtown but don’t want to deal with the hassles of traffic and parking. 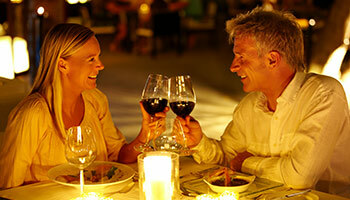 Thanks to Merlo’s, you can relax and enjoy some much-need time with your sweetheart. You want to go all out for your bachelor/bachelorette party. That said, you don’t want anyone to worry about driving, arriving late, or getting lost. When you book a reservation with Merlo’s, bachelor/bachelorette party planning becomes so much easier. Are you at all concerned over how your son or daughter is going to get to and from their high school dance? Merlo’s ensures they will arrive and come home safely and on time. Don’t forget to ask us about graduation pick-up and delivery as well. There’s certainly no shortage of entertainment options in the Houston area. Whether you’re a music buff or sports fan, you know just how difficult it can be to get to the venue or stadium. Call now to see why so more folks are choosing Merlo’s for concert and sporting event transportation. 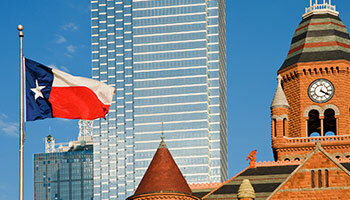 Looking for an individual or group city tour service in Houston? 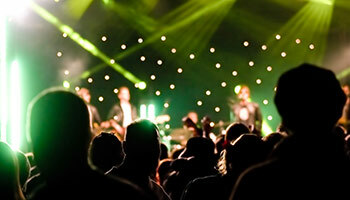 The Merlo’s team has years of experience providing professional touring services. Our tours are catered to out of town tourists, including those who only speak Spanish. It’s safe to say that we know ground transportation like the back of our hands. Of course, every occasion is different. When you first contact us, we will note certain details regarding your event, such as the number of guests, departure/arrival locations, and level of formality. The customer is always our top priority at Merlo’s Charters. You can expect us to communicate as much as possible in order to lessen the chance of a dilemma on the big day. We want to earn your business every time you reserve a charter bus rental from Merlo’s. Let us show you why over 90 percent of our business is referral-based.